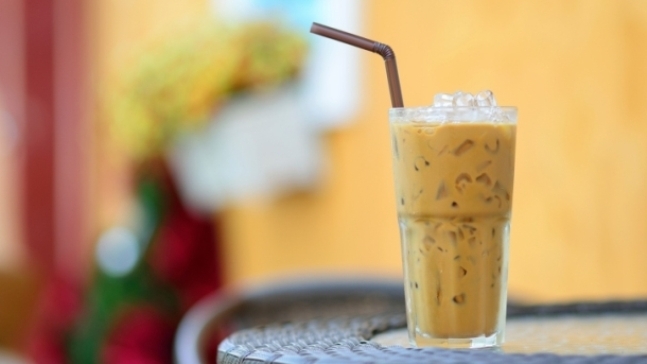 If you like coffee, then ice coffee is the perfect refreshing drink for the hot summer days. We give you the original recipe, and may this be the first thing you prepare once you have some free time. Add 2 teaspoons of coffee to a glass of cold water and stir well. Cover the glass and leave it for 8-12 hours. You can probably do it a lot faster, but the original recipe suggests that the coffee has to stay in the water for long enough, so it is well combined. Take an empty bowl and filter the liquid using a strainer, in which you have already placed a coffee filter or a gauze. Simply pour the coffee over the strainer, and there you have your coffee in the bowl. Serve your coffee on the rocks, and you can also add HONEY or some dark chocolate crumbs and then… ENJOY your ice coffee!